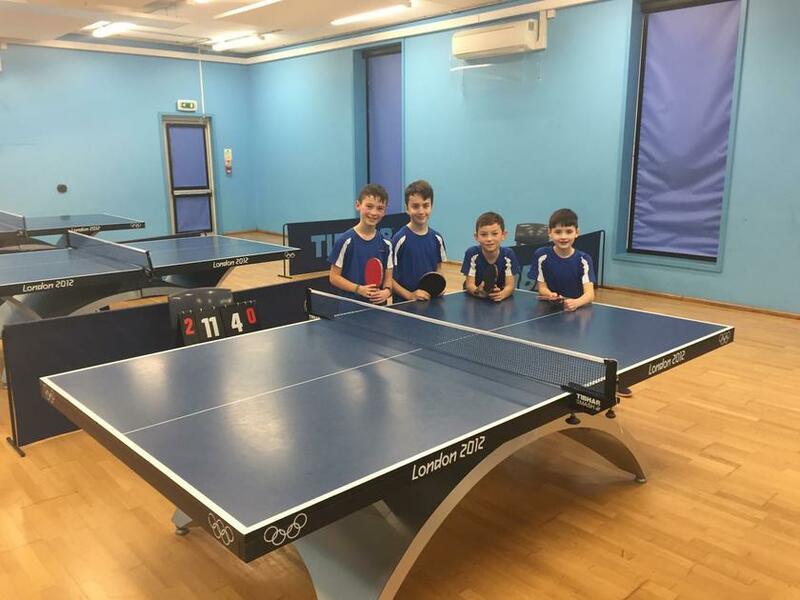 On Saturday Ben, Louis, Jake and Hayden traveled to London to compete in the zone final of the team table tennis competition. The boys were representing both the school and Hampshire having won the county finals in November. The boys were placed in a group alongside South Water Juniors from Surrey and Earls Hall Primary from Southend-on-Sea. After South Water lost their first match to Earls Hall a win for St John's would put them through to the final. The boys duly delivered with an 8-0 win. The final group match was played on the 2012 London Olympic tables and after a defeat it meant St John's finished second in the group and had to play Amherst Primary School from Kent in the semi-finals. After a close contest Amherst were victorious and progressed onto the final against Earls Hall and will travel to Bristol to play in the next round. We are incredibly proud of the boys and what they have achieved, doing both themselves and St John's proud.